St John’s Hotel, Queens Rd, HU5 2PY. 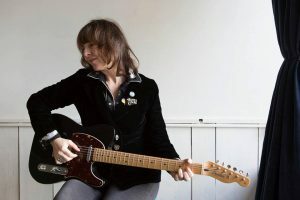 Amy Rigby ‘s first solo album in a dozen years, The Old Guys, has received ecstatic reviews in the US. After a few English dates in March 2018, Amy returns to the UK for a full solo tour in November. The Old Guys measures the weight of heroes, home, family, friends and time. Philip Roth and Bob Dylan, CD/cassette players, touring, the wisdom of age and Walter White, groupies, Robert Altman, egg creams, fellow musicians and mentors are paid tribute. Twelve songs written unmistakably by Amy, and recorded by Wreckless Eric in upstate New York, The Old Guys is the sound of a good girl grown up, never giving up. Be the first to comment on "Amy Rigby (USA)"